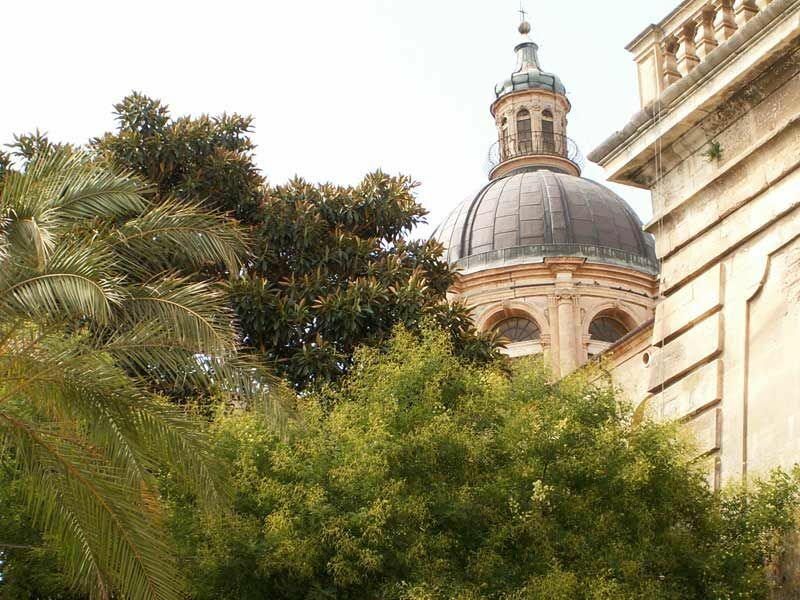 High Ragusa’s outstanding, renowned and superior building is the Cattedrale di San Giovanni Battista, erected between 1718 and 1778. Its dome was added in 1783 and the copper sheets put in the 20th century. Its side chapels, whose main features are its polychrome marbled altars, were built in the 19th century. 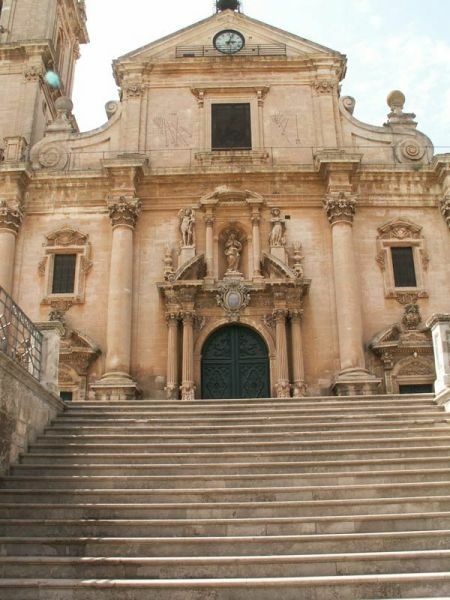 The cathedrals façade was created following the southern Sicilian Baroque style. 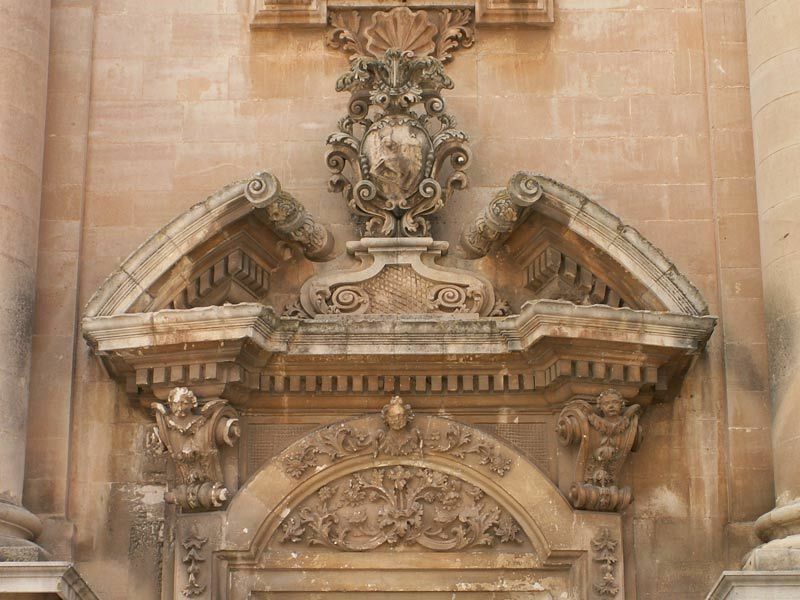 It features three portals, carvings and statues of the Madonna, St john Baptist and St John Evangelist. Its interior has a cross shape, with one nave and two aisles divided by three rows of columns decorated with gold and charts on every column with bible verses related to St John. Giuseppe and Giacchino Gianforma created the rococo stucco works covered with a golden layer of the nave vaults and the presbytery.